I'm so glad you like your CUTCO knives! I work in the public relations department at CUTCO's corporate headquarters and I probably know the person who sharpened your knives when you sent them in! Enjoy those strawberries...the look delicious. How fun! I know we're supposed to eschew unitasking kitchen tools, but as the proud owner of a mango splitter and avocado pitter, not to mention a cherry pitter, I could see myself getting one of these! 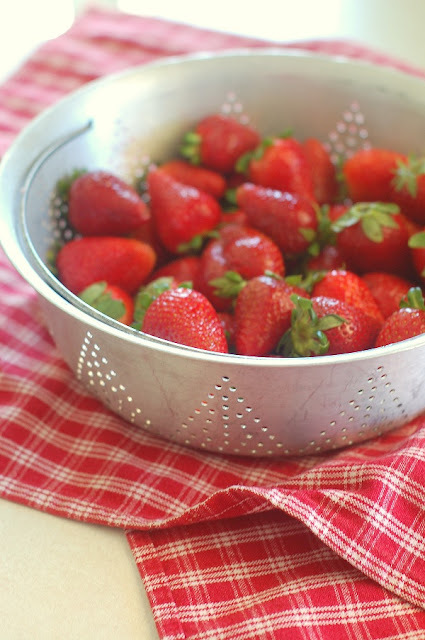 I do love my new strawberry slicer. It's quick and easy and every slice is perfect! Thanks Anne for keeping your eyes open and finding this great little tool. 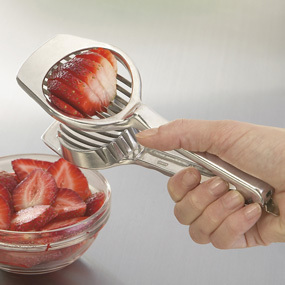 Have you tried the OXO strawberry huller? It's absolutely amazing!